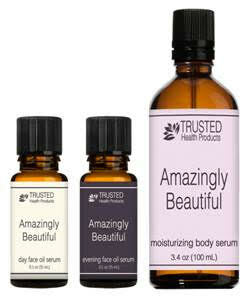 Another awesome product from Trusted Health Products is their Amazingly Beautiful line. I received the AM Moisturizer and PM Revitalizer and really love what the product does for my skin. 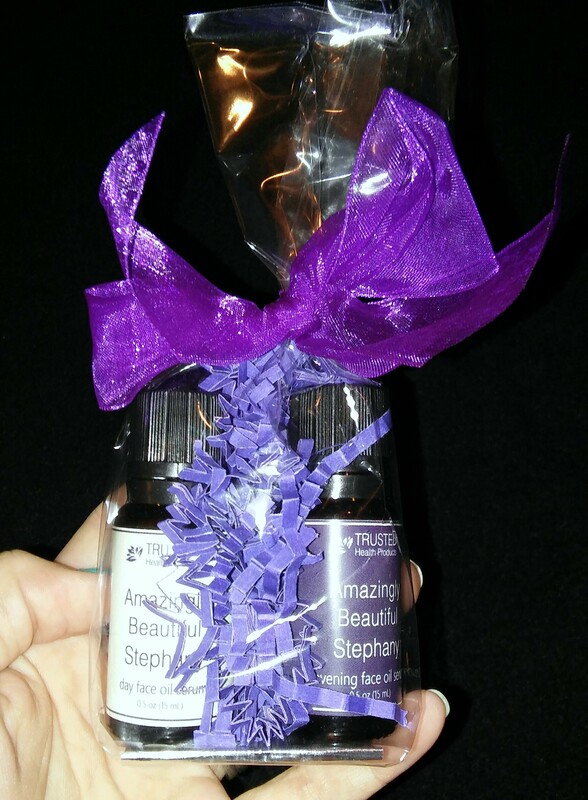 True to Trusted Health Products fashion, every bottle of Amazingly Beautiful is completely customized with the woman’s name so she’s reminded both day and night that she really is amazingly beautiful. The scent of Amazingly Beautiful is far better than anything else on the market that I’ve tried. The formula is made from 100% pure botanical oils of almond, orange, lemon, avocado, evening primrose, olive and apricot so you know exactly what is going onto your skin. There are no added chemicals, no added colors, no added anything of any kind. I love the simple ingredients that combine so brilliantly to make an effective product. Best of all is how my skin feels! My skin feels softer than my toddler’s skin…and I don’t EVER remember it feeling that soft. My skin also seems to have a more youthful appearance with less signs of visible aging. My sun spots are less noticeable, my red spots are more even giving me a better complexion, and best of all my eyes don’t seem to have as many little wrinkles around them. Every day when I look in the mirror I see a subtle improvement and feel more beautiful than I ever have. Be sure to follow Trusted Health Products on Facebook for all the latest news from them.